Since then, we have added the names of all Ohioans who have given their lives during the War on Terror, including the Beirut Bombing, and are planning on adding the names of our Korean War lost. The park is open 24 hours a day and 365 days a year; we never close to the public and we welcome everyone to visit and pay homage to our war fighters. 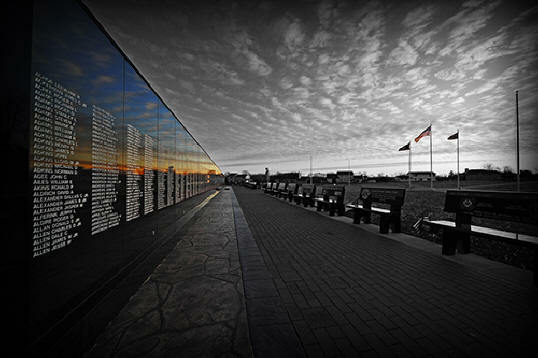 This memorial park is unlike any other memorial park in the nation. We have the longest free-standing memorial in the country and the only Gold Star Father monument in the nation. "A Nation that does not honor its Heroes will not long endure"
Please consider making a donation to support the park and the veterans it honors.